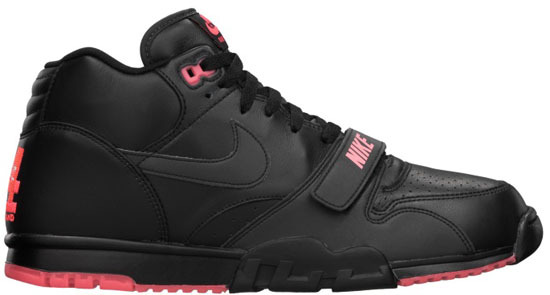 This all new colorway of the classic Nike Air Trainer I is known as the "Revis Island" edition. They are set to hit stores on the 15th. A colorway for Darrelle Revis, they feature a black-based upper with bright crimson accents. 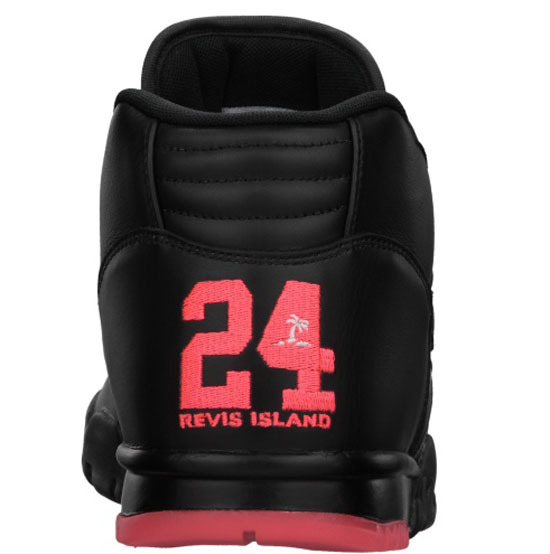 "Revis Island" and the number "24" are found stitched on the back heels. These will be a limited release available at select Nike accounts on Saturday, December 15th. Because they are a Premium NRG edition, retail is set at $120 and they will only be available in men's sizes. Enjoy another look at the Nike Air Trainer I Mid Premium NRG "Revis Island" below. Check in with your local stores to see if they will be receiving these. If not or if you want these now, click here to grab them on eBay.